NOTE: The door panels may need to be removed in order to access the existing center guide. Slide both glass panels toward one end of the shower opening. Remove the two end caps. Retain the end caps. Remove and discard the existing center guide. A putty knife may be needed to pry the center guide off the shower ledge. Clean the shower ledge and threshold surfaces with an alcohol wipe. 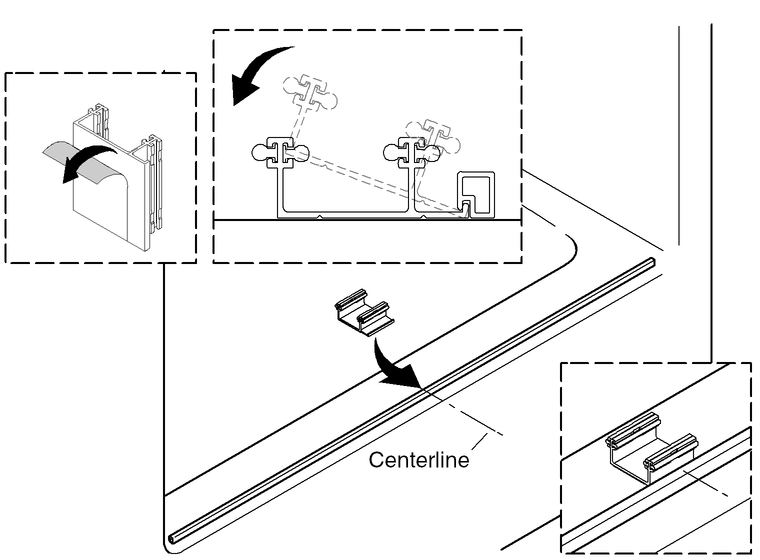 Use a pencil to mark the centerline location on the shower ledge and threshold. Remove the backing from the adhesive strips on the center guide. Tilt the edge of the center guide under the threshold and align the center marks of the guide with the centerline marked on the shower ledge and threshold. Once aligned with the center marks, rotate the center guide down into place. 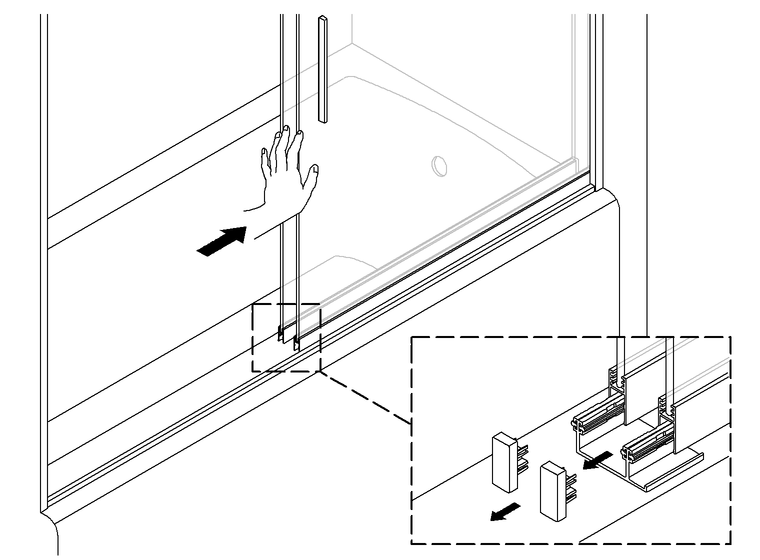 Press the center guide firmly to the shower ledge. Slide the glass panels toward the middle of the shower opening. Press the two end caps into the bottom of the glass panel frames.